Primal Spirituality is the spirituality you were born with. There are structures of design within creation that are set as the rules of the game. For those that know the rules of the game, they are able to play at a higher level than their brother and sister who do not understand why things are happening the way they are. There is a divine design, the way things work, and there are consequences of life when we try to work outside the design. This is not punishment from an angry God, simply the result of the One Law: Radiation/Response, Action/Reaction, Cause/Effect. 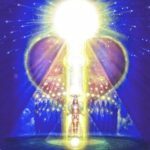 There are certain gateways within the human design that either allow for or block the expression of seven divine virtues for a whole and healthy life. As human beings, we are made up of a combination of elemental influences and natural capacities. We each have a body, of whatever type and function. We each have a mind, however well wired or trained. We each have a feeling realm, to whatever degree of sensitivity. We each have a spiritual connection, by whatever name we give it. 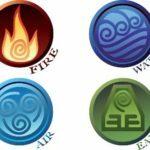 The four primary elemental influences of earth, air, water and fire. The four primary elemental influences of earth, air, water and fire are represented in the physical, mental, emotional and spiritual make-up of a human being. As each one of these capacities interacts with another, there is specific dynamic that occurs in the interchange. The Spirit has something to give to the heart and the heart has something to give to Spirit in return. The naming of the dynamic that happens in that exchange is known as Blessing. Creation has a process and a design for how it naturally works. Because we are co-creators gifted with free will, we can create whatever and however we want, whether it is of a higher design and outworking or not. Imagine children working on a construction site without care for each other’s wellbeing, understanding of the machinery or even a plan of what they are building. Utter disregard, chaos and confusion, and somebody is probably going to get hurt. Have you ever seen that energy playing out in the world? How about someone you know or even yourself in your own life? If we are creating in opposition to the natural design of human function then what is meant to be a blessing can appear to be a curse instead, and before you know it you end up cursing your world instead of blessing it. What should rightly be an experience of growing understanding and awareness of what’s happening and why, instead becomes a maze of confusion, assumptions and misunderstanding. And yet, even though this phenomenon is common, it’s not real on its own. It is simply an experience of the absence of blessing and understanding. We do not have to get rid of the curses or fight off the confusion. We simply have to learn how to increase the experience of blessing and understanding in our own life through practicing natural function. 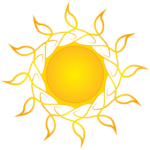 Primal Spirituality 1 – Blessing and Understanding is a 4-day journey with many modalities of self-discovery, creative expression and group learning. 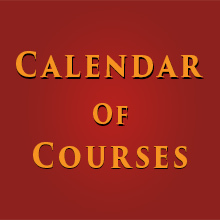 A participant is encouraged to see the blocks they have unconsciously created, forgive and release them, and allow something of Spirit to move through the heart and mind with the healing power of Love. These first two of seven gateways are really important as they serve as a healthy foundation to create from for all of your relationships and other creations. Anyone who learns and honestly applies these principles with consistency will radically transform their experience. Would you like to discover a greater degree of blessing and understanding in your own life!? 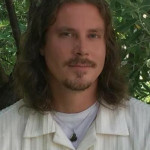 Gary Goodhue is a student and teacher of consciousness and creation. He focuses on bringing deep principles of Truth and Love into practical, every day application. The results are increased presence, clarity, peace, focus and power. ← Dissension – Friend or Foe?